The Tecno Camon CX is one of the latest Android phone from Tecno running Android 7 Nougat. If you want to root the Tecno Camon CX, then you've come to the right place. You will be able to block ads in any App. You will be able to use apps that require root access. Warning: Rooting your Tecno Camon CX would void the warranty. Sometimes, if you do not follow the steps carefully you might also brick your device and if that happens we are not liable. Please proceed with caution. Remember to backup important files and data because unlocking the Bootloader will erase your files. Flashing recovery image (e.g TWRP or Philz recovery). Enable USB Debugging on the Tecno Camon CX. See tutorial here. Setup ADB and Fastboot on your laptop or pc. Click here. 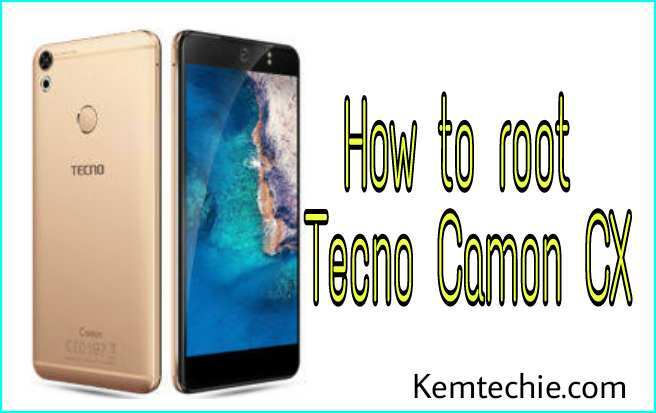 Unlock the Tecno Camon CX Bootloader using this guide. When in Fastboot, load the TWRP or Philz recovery to the phone by typing the command below then pressing Enter. While in recovery, use the Volume buttons to navigate and Power button to select. Navigate to the location of the SuperSU2.78.zip on the SD Card and select it. Wait till flashing is complete. If you are prompted to fix root, select No. If you encounter any problem while following this tutorial, do let me know using the comments section below. Before you leave, I need you to share this post on social media. You can use the share button below. Thanks to Team Hovatek for the rooting guide. Will This Turorial Aslo Work For Tecno camon cx Air? We love 💗 comments 💖. Please leave a comment. Reader's feedback is appreciated. Note that comments are moderated.